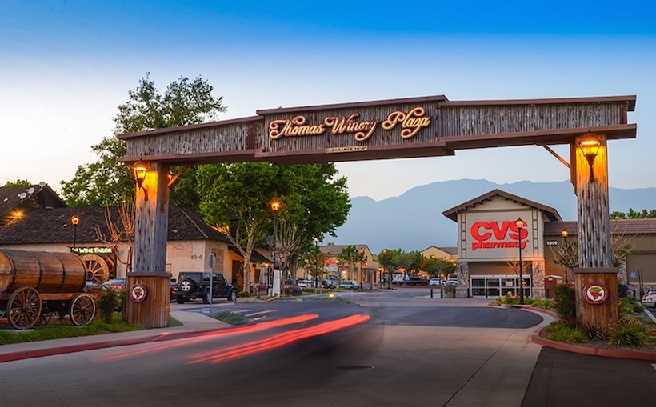 RANCHO CUCAMONGA, Calif. – (RealEstateRama) — Progressive Real Estate Partners and Hanley Investment Group announced today the for-sale listing of Thomas Winery Plaza, a 99,808-square-foot historic landmark shopping center for $28.6 million ($287 psf). 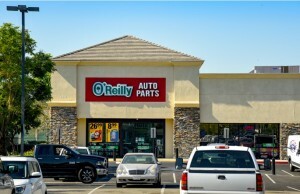 The center is located at the northeast corner of Foothill Blvd. (Historic Route 66) and Vineyard Avenue in Rancho Cucamonga, Calif., and is the site of California’s oldest winery established in 1839. 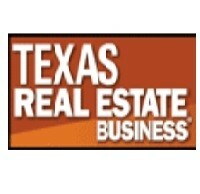 Investment sales experts Brad Umansky and Frank Vora from Progressive Real Estate Partners and Bill Asher of Hanley Investment Group are exclusively marketing the property on behalf of a private real estate partnership. Thomas Winery Plaza was built in 1989 and underwent a substantial renovation in 2008 including major architectural facade renovations, common area enhancements and the addition of architectural elements to memorialize the property’s history located along historic Route 66 which is the region’s major east/west retail corridor. The actual historical Thomas Winery building was repurposed to accommodate retail uses when the shopping center was built in 1989.